When properly equipped, the Ram 1500 has Best-in-Class V8 Towing of 12,750 pounds, taking you to and from Chatham jobs no matter what you're hauling. Maybe you don't need your Ram 1500 towing specs maxed out but still need to haul a trailer? You can pull up to 6,730 pounds on the standard Ram. Hauling construction materials or dirt bikes, the Ram 1500 has you covered with a payload capacity of 2,100 pounds. Rarely does the job keep you on paved roads 24/7, and the Ram 1500 4WD has you covered on gravel driveways or heading off into the wilderness for some fun. No matter which model you choose, the 2019 Ram 1500 performance specs look impressive, but if you’re a Ram driver, you know they need to be put to the test. The active-level four-corner air suspension ensures that no matter how much power your truck kicks out, your ride will feel smooth – on or off the roads of Rochester. It’s no wonder the critics love the 2019 Ram 1500. 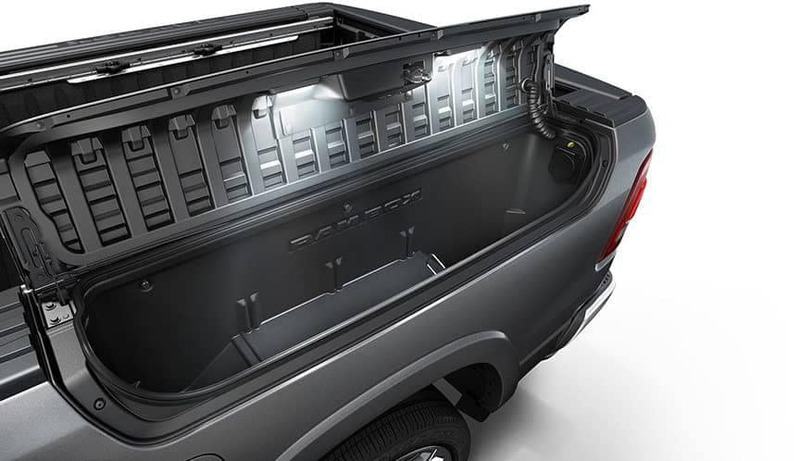 Features like the RamBox Cargo Management System with cargo box lighting, a cargo bed extender, and cargo bed rails with adjustable tie-downs keep your gear secure. When it’s time to give your truck an upgrade, think of all the 2019 Ram 1500 towing and hauling specs show, how much you need to tow, the advantages best-in-class V8 towing gives it over competitors like the Ridgeline, Ford F-150, the Jeep Gladiator, and Tacoma, then make the trip to Green Dodge near Decatur to see a Ram 1500 firsthand or to learn about the similarities and differences between the 2019 All-New Ram 1500 and 2019 Ram 1500 Classic.